Steel unions have agreed Monday June 22 as the date for strike action at Tata Steel in their ongoing dispute over pensions. The strike action will be preceded by action short of strike action involving an overtime ban and a work to rule. The action short of strike action will begin as soon as legally practical around the middle of this week. Over 2,000 people are employed by the company in South Yorkshire and the Indian-owned steel maker has operations in Rotherham including a steelworks at Aldwarke, a Narrow Strip plant at Brinsworth and the Swinden Technology Centre on Moorgate. The Proving Factory is also being created at Tata Steel's site at Brinsworth. 70% of Unite members at Tata Steel backed strike action on a turnout of 66%. The results followed similar ballots by Community, UCATT and GMB. 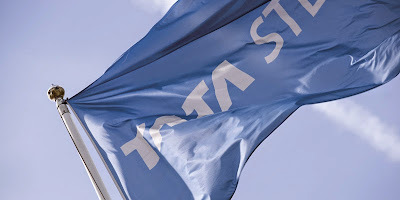 Roy Rickhuss, chair of the National Trade Union Steel Co-ordinating Committee, and general secretary of the Community trade union, said: "Tata have given us no option but to take industrial action. The company has not shown any willingness to return to meaningful negotiations to find an end to this dispute. Our members are determined to stand up for their pensions. They delivered a massive vote in favour of industrial action, so that is what will happen. "An overtime ban and work-to-rule will cause massive disruption to Tata's operations and severely limit production. The company could avoid this by returning to the table. But in the meantime all the unions will also be making preparations for a national day of strike action on 22 June." Paul Reuter, national officer at Unite, said: "We are still open to talks if Tata are prepared for meaningful discussions. We have offered Tata the savings it says it needs. But the company wants to close the scheme altogether. This is not acceptable to workers, which is why industrial action will start next week." Dave Hulse, GMB national officer, said: "It's time Tata got back round the table and looked for a way to resolve this dispute. Our members are ready for industrial action and the company should heed the message that their workforce is delivering." Nick Blundell, regional secretary for UCATT said: "Tata should listen to its workforce and recognise that to resolve this dispute it needs to get back round the table with the unions for meaningful discussions. Industrial action is a last resort for any union but Tata has given us no choice." In response, a Tata Steel spokesman said: "We have been trying to develop an affordable and sustainable pension scheme for employees so we are very disappointed by today's announcement on strike and industrial action. "Everyone agrees that changes need to be made to resolve the challenges facing our pension scheme, which has a projected shortfall of over £2 billion. "We have over the last few months listened carefully to our employees during an extensive consultation process involving thousands of employees. "In response to this feedback, we will soon be announcing new measures which will lessen the impact of the proposed pension changes, particularly on our longest-serving employees nearing retirement age. "We hope that these important changes to our proposals will be welcomed by employees and that the trade unions reconsider industrial action. "At a time when the UK business as a whole continues to lose money and when key investments are needed to create a sustainable future for our business, we urge the unions and individual employees to think very carefully about the consequences of industrial action."